Our world is full of various legends and myths, which tell about brave heroes, terrible monsters and other creatures. 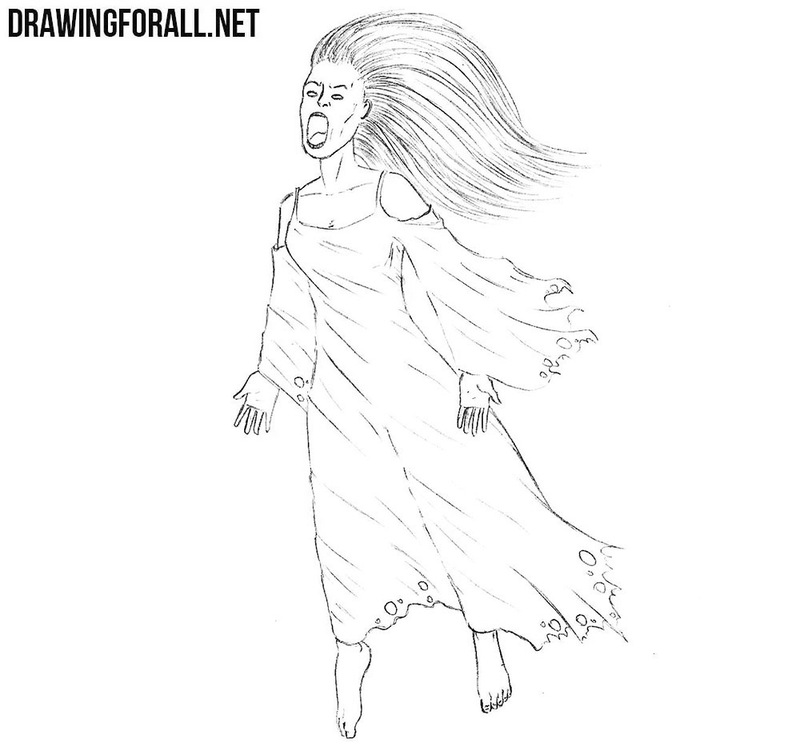 And today we will talk about such a creature in the lesson on how to draw a Banshee. 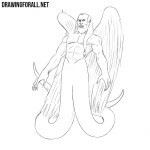 First of all we sketch out the skeleton of our mythical creature. We start with the head, drawing it in the form of an oval. Next, draw the spine on which we sketch out the chest and pelvis. 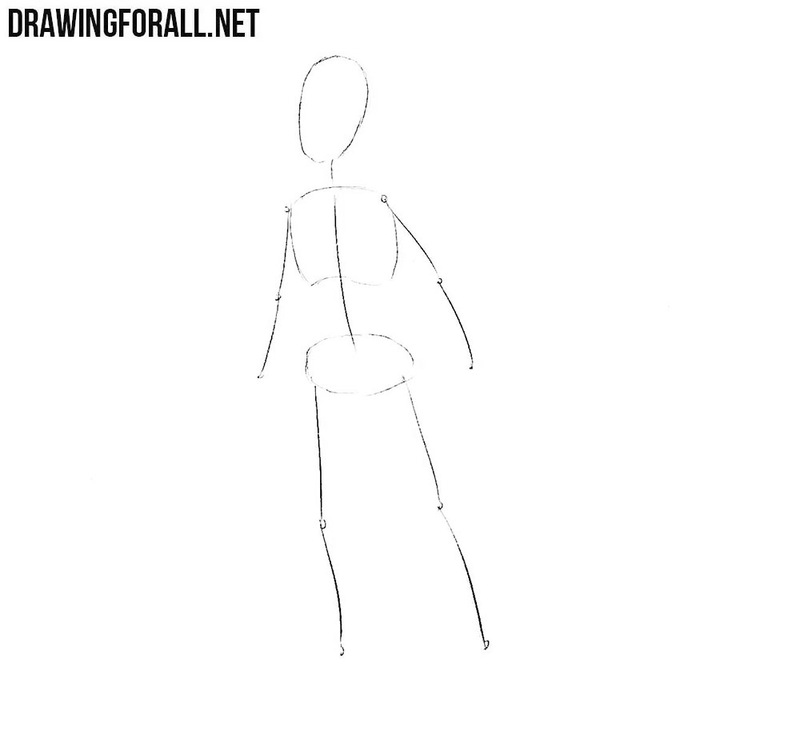 At the end of the first step we sketch out the arms and legs with simple lines. 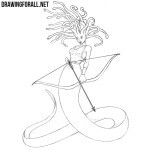 Now draw intersecting lines, using which we will further draw the face of the Banshee. Next, outline the neck and torso, which strongly narrows in the waist and widens in the hips. With the help of simple geometric figures, we sketch out the arms and legs. With the help of long lines draw out a lush Banshee hairdo. 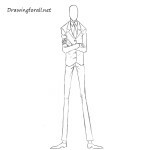 Using the same long lines draw out the outlines of clothing as in our example. So, starting with the next step we will use dark and clear lines for final detailing. Let’s now get to the face of our character. First of all, carefully draw out the eyes of our character. Next draw out a nose and a very wide open mouth. Next, draw out the outlines of the face and remove all unnecessary guidelines from the face. In this step of the lesson on how to draw a Banshee we will draw hair. 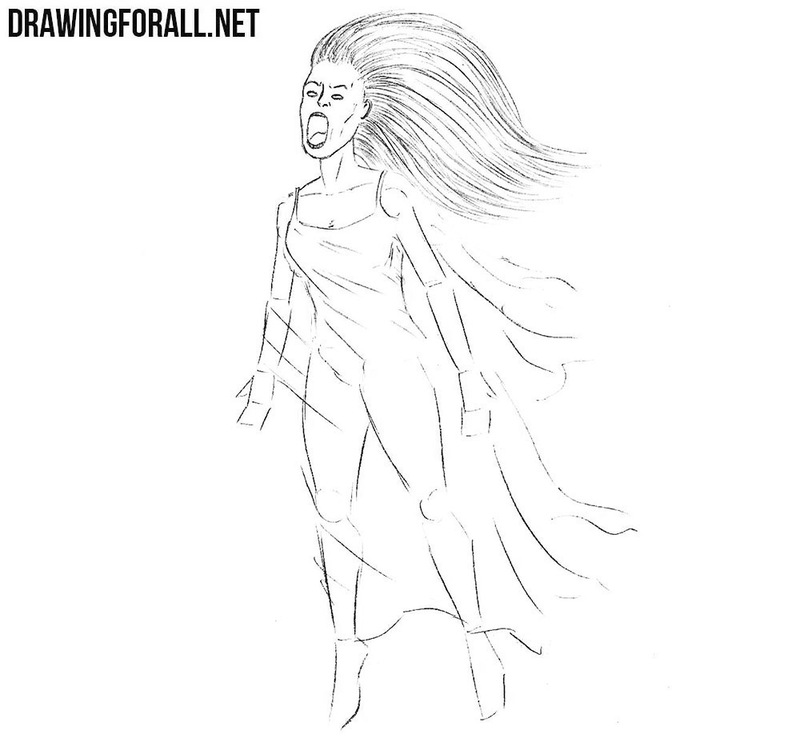 Using long and curved lines draw out the lines of hair in order to make them more realistic. 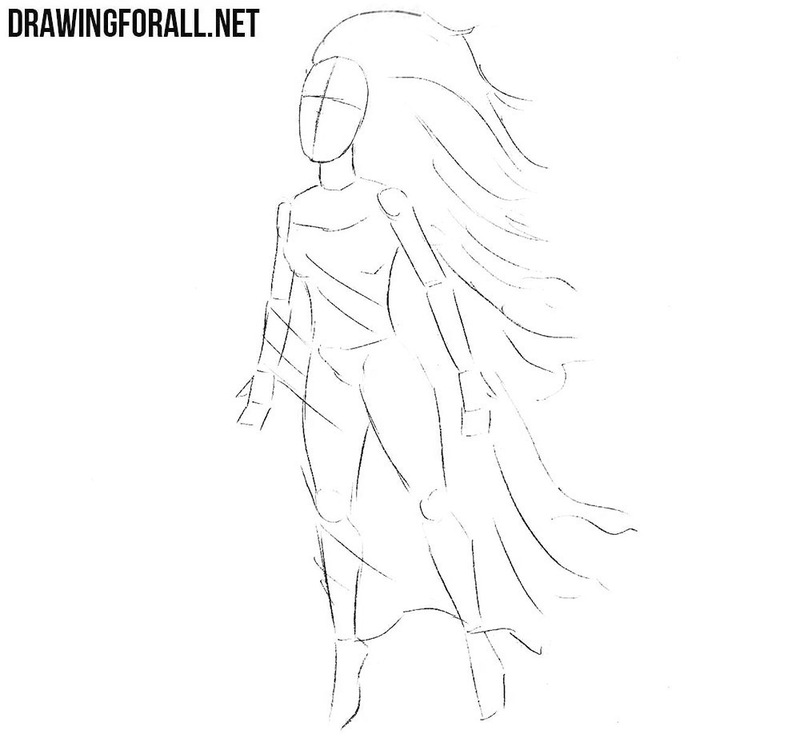 Now, using clear and dark lines, carefully draw out the neck and torso, as shown in our example. 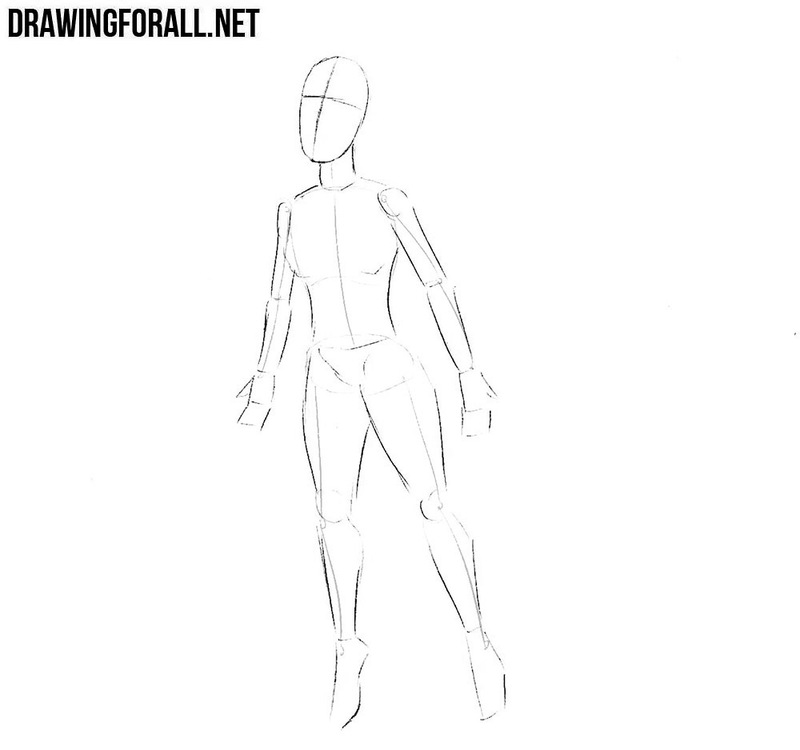 Note that we need to draw out the torso using clear and dark lines. Now we need to work with the arms of the Banshee. With the help of clear and dark lines we will need to draw out hands and long and torn sleeves of the dress. Now let’s move on to the lower part of our character’s body. With the help of long and smooth lines we will need to accurately draw out the outline of the bottom edge of the dress. 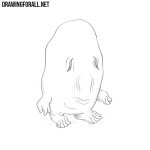 Draw the feet and delete all the remaining unnecessary guidelines of the drawing. The drawing lesson about how to draw a Banshee is almost complete, we only need to draw a shadow. Note that the shadows should be drawn with dense hatching and overlay them in those areas where the light does not fall. What mythical creatures are you interested in? 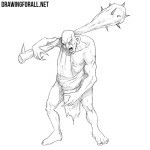 Write to us about this, and these characters will necessarily appear on the pages of our site.